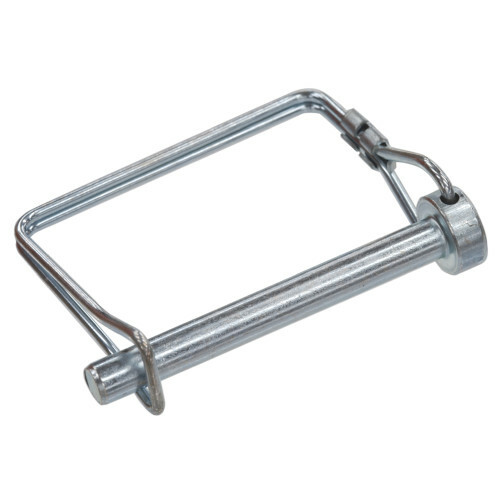 Wire lock pins are a clevis pin with an attached wire loop that is pulled over the end of the pin. The loop at the end of the bent wire slides over the post for simple securing and removal. Pins are square in shape. Part of the Hillman Deep Drawer specialty program. 3/8" x 2-1/2" 3/8" x 2-3/4" 5/16" x 2-3/4"